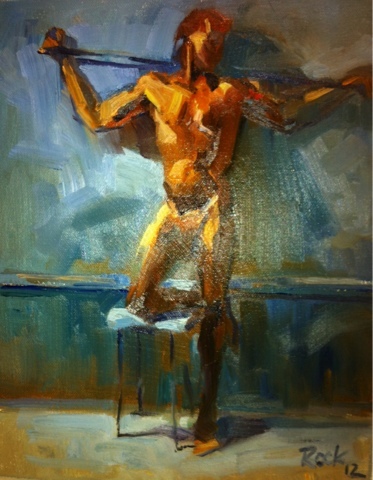 Today's figure painting session in the Silver Circle Gallery downstairs studio. Approximately 1 hour for this one. I used some Utrecht bristle brushes which I liked very much. Also used Utrecht oil colors for the blues and greens. I liked the smooth feel while applying them. All in all a good session.